It made for a dreadful commute. 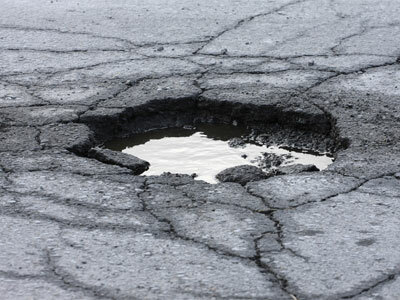 The crater-like potholes dotting the main thoroughfare near my office were wreaking havoc on my car's alignment. I wasn't the only unhappy camper. The city was inundated with complaints from angry neighbors and shopkeepers who demanded repairs. 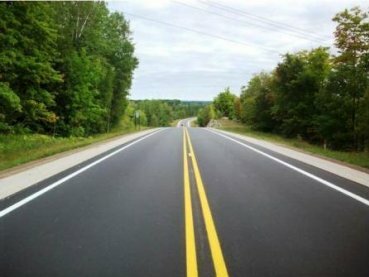 Finally, a road-crew was sent to fill the gaping cavities and restore drivability to the busy street, and they did a very nice job. Do you think the city has received any thank you calls from the neighbors and shopkeepers in the area? I'm certainly happy about the repairs, but I haven't called anybody down at City Hall. My guess is that no one else has, either. You and I expect our highways and byways to be smooth. After all, we're taxed a sizable portion of our hard-earned money to keep them pothole-free. It would be a newsworthy story if a resident ever called the city to express deep appreciation for a smooth street. Similarly, we expect our employees to perform the job they were hired to do for the wage we are paying them. If they go far above and beyond the norm, they will be recognized, promoted, and given a raise. If they screw up, they're going to hear about it. Those who simply do their job, get to keep their job. And that should be enough, right? Most managers I encounter are perpetual pothole patchers. They feel as though it's their job to maintain a smooth road, so they're always on the lookout for the potholes and are quick to call out every crack and imperfection. Under this leadership style, the only ones who ever get any attention are the top 10% overachievers and the bottom 10% who usually get reprimanded and eventually fired. The 80% that lie somewhere in between exceptional and unacceptable are generally ignored. Effective managers, however, are not satisfied with routine road maintenance. They realize that in order to turn a road into a superhighway of productivity and profitability, they must proactively acknowledge—and even reward—those 80-percenters who are doing their jobs capably. Rather than focusing on the potholes, they develop the habit of consistently connecting in a positive way with those who are doing their jobs adequately. This philosophy does not sit well with old school managers who, themselves, have never been praised for just meeting expectations. It goes completely against the grain of how most were treated when they were coming up through the ranks. So if you're among this constituency, relax. You're in the majority. But just because you don't need strokes for doing your job, don't fool yourself into thinking your workforce feels the same way. There's a growing segment of the labor pool that arrives at your workplace preconditioned to expect positive reinforcement for simply meeting your expectations. They grew up in a time when every one on their team got a participation trophy and probably had parents who continually reminded them that they were 'special.' These are workers who aren't going to respond to, or even accept, a pothole-management style. That's why you might want to work on positively connecting with your team members even when they haven't set any world records. I'm not advocating that you give false praise; as most can spot a phony at 50 paces and it will turn them off. Rather, I'm suggesting you develop a habit of looking beyond the potholes for that which is worthy of praise–or at least some attention–and focus the majority of your energies there. Start a daily log of how you are connecting with each member of your team. For each of your direct reports, give yourself one point for every positive interaction and take one away for each negative interaction. But also deduct a point for each shift where you've neither criticized nor affirmed their efforts or results. If after two weeks you notice an individual who had a negative total, they are likely disengaged, and may be contemplating leaving for greener pastures. Great cultures are born when everyone on a team feels like their contributions are important, noticed and appreciated. Don't wait for any employee to move a mountain before you notice them and demonstrate your approval. Positivity breeds performance, and engagement. This article was originally published on Eric Chester's blog, Reviving Work Ethic, and has been reposted with his permission.